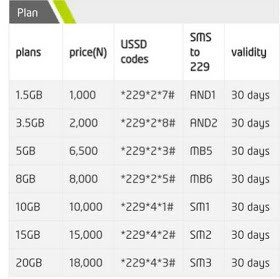 Etisalat officially came up with revised data plans for their subscribers, just like MTN did. Exactly the same capped data and amount. Below are they subscription codes for you to subscribe.. The duration is one month, 30 days to be precise. Any question use the comment box below and always share to your friends with the below share buttons for them to know the new development. And as well enjoy with you.